In the fall, there’s nothing more perfect than going apple picking in Vermont. Beginning in mid-September, Vermont’s apple orchards begin to fully ripen, and thousands of people come to pick these lush fruits. And let’s not forget the hayrides, corn mazes, and of course, that heavenly fall staple: apple cider donuts. Fall is the time for baking pies and celebrating all things autumnal. And New England, especially Vermont, offers some of the best fall activities anywhere. 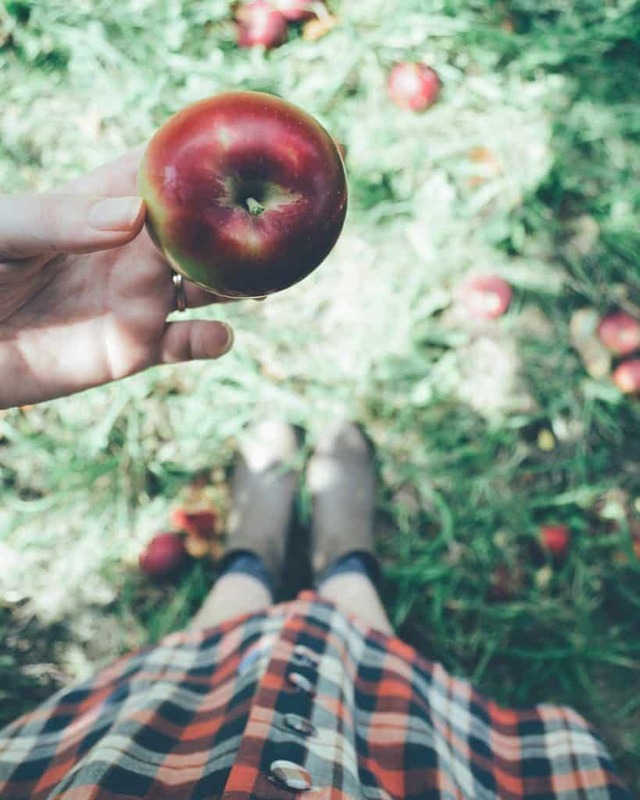 Apple picking is one our favorite fall things—and, we would argue, a must when it comes to things to do in New England! Planning a fun fall weekend? 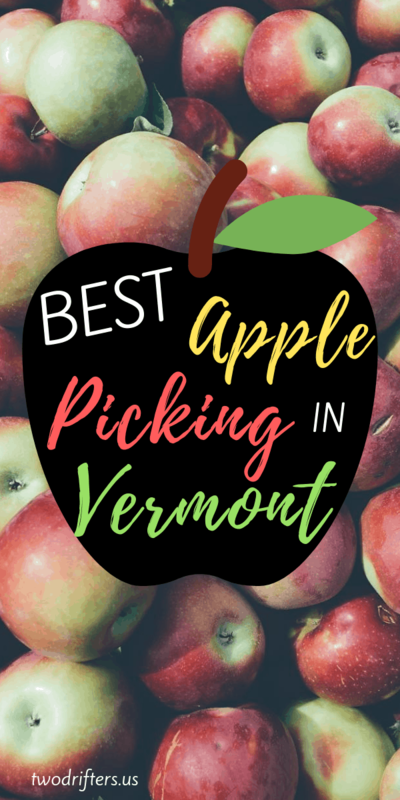 Whether you’re picking with kids or looking for a romantic fall date, here are the best apple orchards in Vermont to head to. So many of our Vermont friends have cited Hackett’s Orchard as one of the top VT apple orchards. Located in South Hero, Hackett’s grows 47 varieties of apple and have been doing so since 1967. In the fall, you can pick your own apples every day as well as enjoy all the traditional fall farm activities like hay rides. They also have a playground and picnic area–ideal for kids! If you love apples, this is the place. Hackett’s has cider donuts, cider slushies, and other appley treats to enjoy. While you’re visiting, you can pick up some hardy mums for your fall home decor, or grab a bottle of Vermont maple syrup. Not around in the fall? In other months you can sample their other harvests, including plums, blueberries, peaches, and raspberries. For the latest check out their Facebook page. Burtt’s is another favorite for apple picking in VT. You’ll find Burtt’s up in the Northeast Kingdom in Cabot, Vermont, where there are plenty of other fun things to keep you busy, like visiting the Cabot Creamery. But Burtt’s, with its beautiful location, will be your stop for classic fall apple picking. 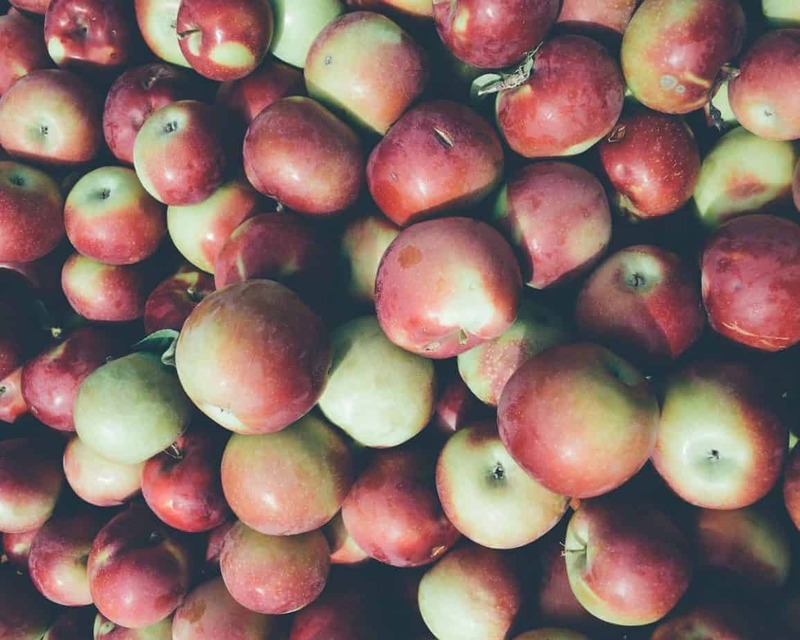 With over 40 varieties of apples, you can pick Honeycrisp, Cortland, McIntosh, and lots more. When you’re done picking, enjoy the homemade cider donuts and other treats. Burtt’s Apple Orchard gives back to the community, too. If you donate apples to the Vermont Food Bank through the Pick-for-your Neighbor program, Burtt’s will match the donation. Burtt’s is especially great for kids. They can play on the playground, try out the apple slingshot, dig in the sandbox, or participate in contests like the Golden Apple Hunt (to win a free donut) or the Wooden iPod apple hunt, where you could win an actual iPod! 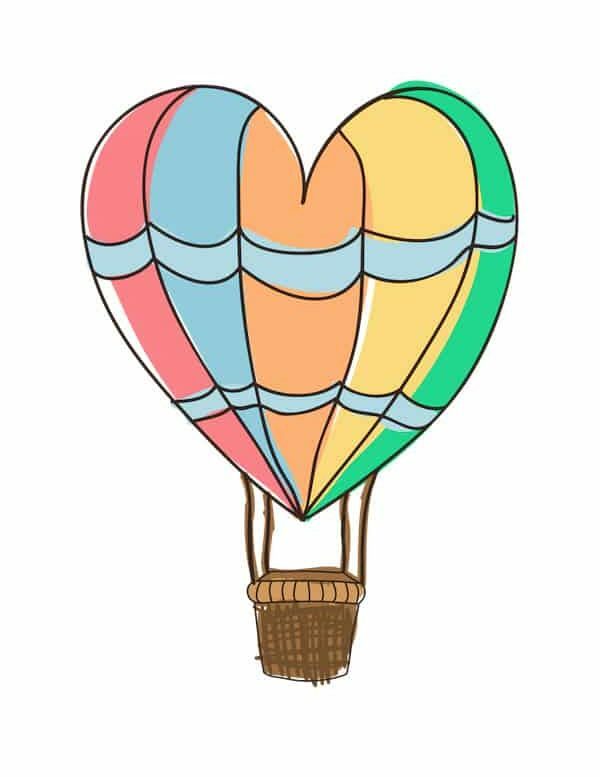 For the latest check out Burtt’s Facebook page. Like variety when visiting apple orchards in VT? Scott Farm Orchard has more than 125 apple varieties to choose from, including heirloom apples. This place isn’t just for picking apples, either. There’s a full schedule of events happening at the farm, where you can even stay for awhile in one of their vacation rentals, five historic Vermont homes. The farm itself is quite a piece of history, having been in active cultivation since 1791 and currently listed on the National Register of Historic Places. Many of the events at the farm are educational. The upcoming calendar boasts a hard-cider making workshop as well as a class on baking heirloom apple pie. Pick your own (PYO) starts at Scott Farm Orchard over Labor Day weekend. Don’t forget to stop by the Farm Market to sample their other items. Drinking their fresh-pressed cider is also a must, according to some reviewers, who share that the rich flavor of the heirloom apple varieties creates an incredible cider. Northcourt Orchard is a beloved spot way up near the Canadian border. This orchard is a small, family-run business offering all the essentials for a fantastic Vermont fall experience: PYO apples, fresh pressed cider, and of course, a friendly staff to welcome you. And let’s not forget about the cider donuts. Northcourt’s are heralded as some of the very best out there. They are homemade and crafted with all-natural ingredients, the perfect accompaniment to your apple picking visit. All the latest on their Facebook page. While you’re visiting Hackett’s, pop just down the road to Allenholm Farm, another favorite place for picking apples in Vermont. Allenholm has been producing apples for seven generations, since Reuben Allen and his son moved to South Hero in 1870. Allenholm Farm is great in the fall. Ride the tractor-pulled wagon from the farm over to the orchard for your picking, then head back with your spoils and spend some time petting the animals in the paddock (ponies, a donkey, goats, and chickens). If it’s not apple-picking season yet, don’t worry. The farm is open from late May until to December, so you can sample other fruits like blueberries, pick up baked goods (like the famous pies), or enjoy a maple creemee in the summertime. Allenholm Farm also welcomes school tours and rents bikes. You can come up to this spot and enjoy a full day in the gorgeous Vermont fall weather. For the latest, head to their Facebook page. A bit further south you’ll find Mad Tom Orchard, located in East Dorset, VT.
Mad Tom is greatly loved by all who visit, and it feels like a hidden gem tucked away in the Vermont hills. A small, family-run orchard with an old-fashioned feel, the picking is centralized in tightly packed rows of apple trees. Some reviewers on TripAdvisor mention that the trees are perfect for kids to pick from, as they are set low and abundant with apples. In addition to being a friendly, not-too-crowded VT apple orchard, Mad Tom has spectacular views and is in a lovely location near Manchester, VT. You’ll find the delectable cider donuts are hot and waiting for you as well as fresh cider—all at affordable prices. Get the details on Mad Tom Orchard on their Facebook page. 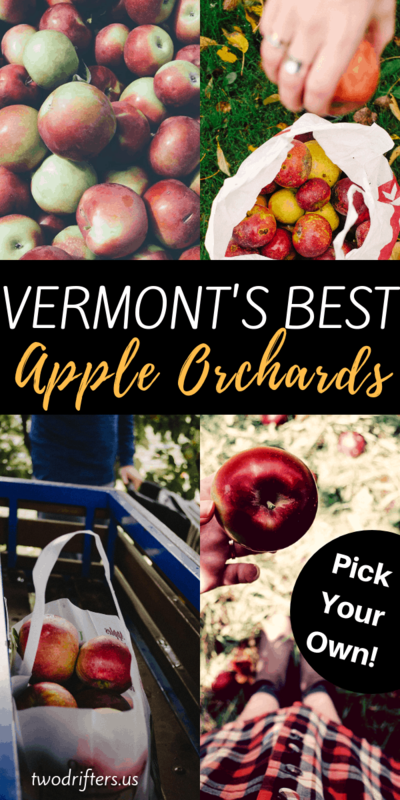 Shelburne Orchards is perhaps the best choice if you’re seeking out apple picking near Burlington VT. Shelburne is a sweet town just a few miles south of Vermont’s biggest city, and the orchard is set on 60 stunning acres near the shores of Lake Champlain. There is a jam-packed schedule of things going on at Shelburne Orchards. During picking season, they have a host of events in addition to the everyday activities. Here you’ll find hay rides, fresh apple cider (including ginger apple cider), sugar dipped cider donuts, and an apple brandy tasting room for the adults. There are events big and small, such as the upcoming Pie Fest with live music and an apple pie baking contest. Shelburne Orchards is a family-owned orchard that aims for eco-friendly and sustainable practices as much as possible. It is often touted as one of the best apple orchards in Vermont. Why not go see for yourself? Keep up with Shelburne Orchards on their Facebook page. Champlain Orchards is another apple orchard VT can be proud of. Set overlooking the majestic Lake Champlain, this orchard places great emphasis on sustainability and land stewardship. They follow strict Eco Apple requirements in their growing practices as well as endeavor to lower their overall carbon footprint. This beautiful orchard, one of the oldest in Vermont, produces approximately 80,000 bushels of apples per season, selling them to customers or using them in creating one of their many products. Champlain Orchards offers pies and other goodies, as well as hard cider and ice cider. These, and other Vermont-made products are available year round in the orchard’s farm store. Picking season takes place from June through November, and includes not just apples but berries, pears, cherries, peaches, and more. Stay up-to-date with Champlain Orchards on Facebook. Which of these Vermont apple orchards is your favorite? Find them all on the map!